A real update! With like, progress and stuff! 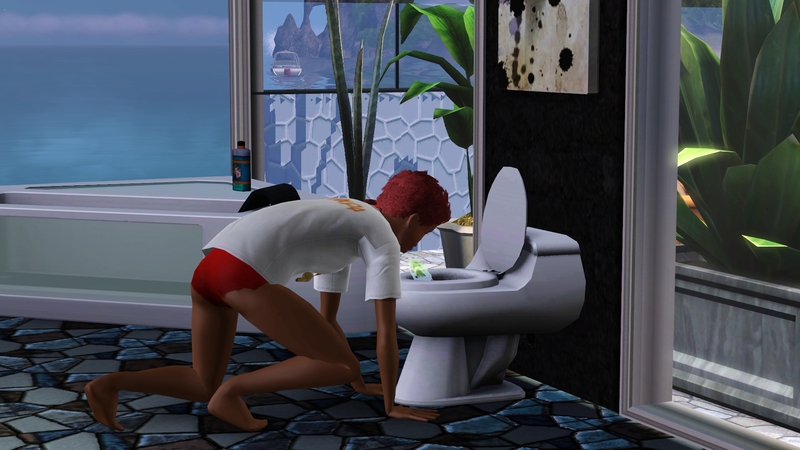 Last time we visited the Zales, Natalie was named heir, travelled to Egypt looking for a spouse, then found one at home… Rajan and Natalie got married in the bathroom that is my favorite. Enough recapping – let’s move on! First – I had not opened my game since September 30th. Disgraceful. Mango is looking anything but amused. Rajan is just getting out of the shower. I just love that face! 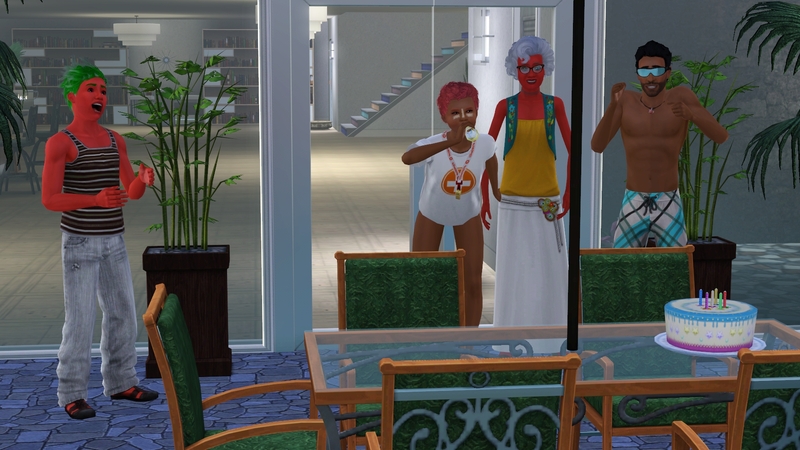 Natalie is also in the bathroom… Hmm… I wonder what they were up to. I mean, they ARE newlyweds! And lastly, we have Nate. Heading into my favorite bathroom. Natalie wanted to snorkel, and she’s the only one I can control, her wish is my command! 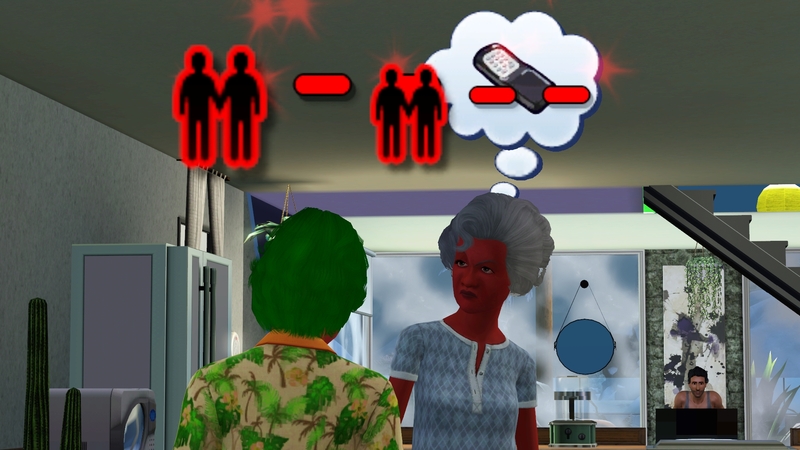 It’s weird only controlling one Sim after so much TS4 I’ve been playing lately. 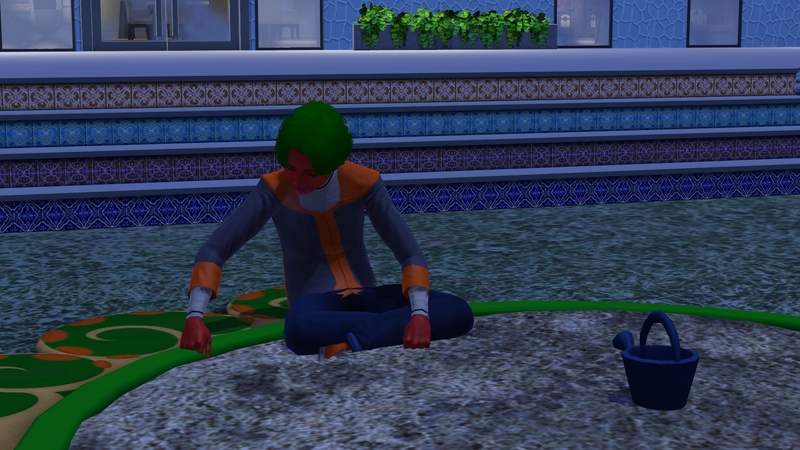 Nate is busy being a cutie in the sandbox. 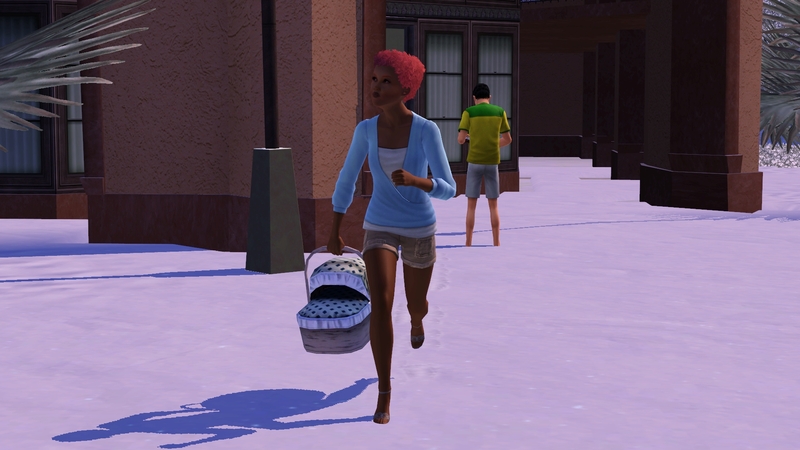 The very short cold season has settled in here in Isla Paradiso, I hoe he doesn’t freeze! The new head of this house needs to learn how to cook so there’s decent meals to be eaten. Microwaved hotdogs in your bikini it is! 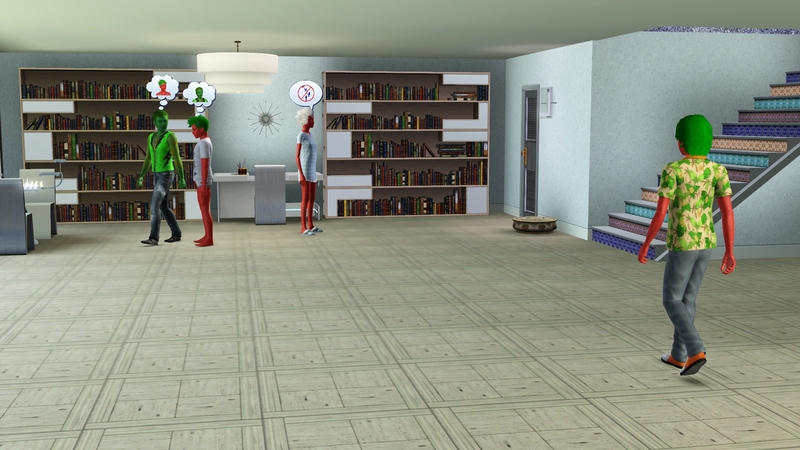 Well, maybe not… TS4 Sims don’t have problems walking around each other to get snacks. 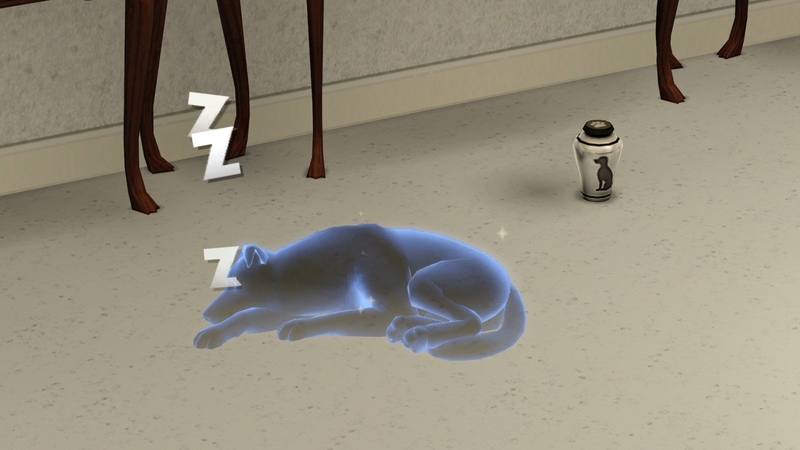 I totally forgot I had ghosts in this house. Ha! Someone isn’t feeling too well! Natalie wanted a massage, so she gets one! 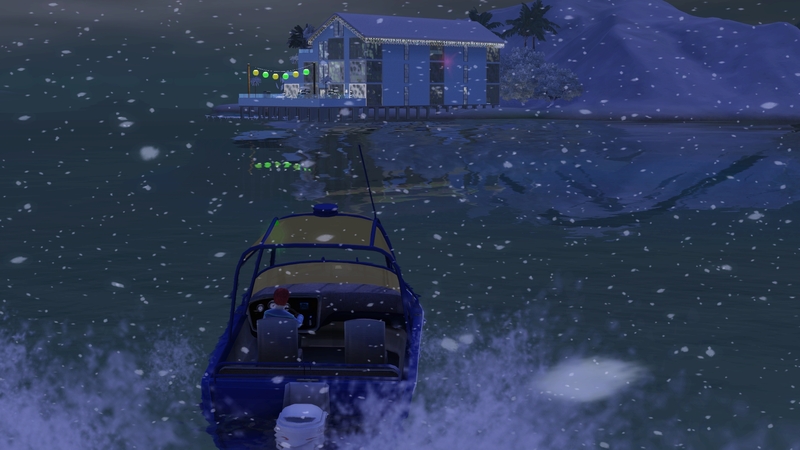 BAMF boating in the island snow. 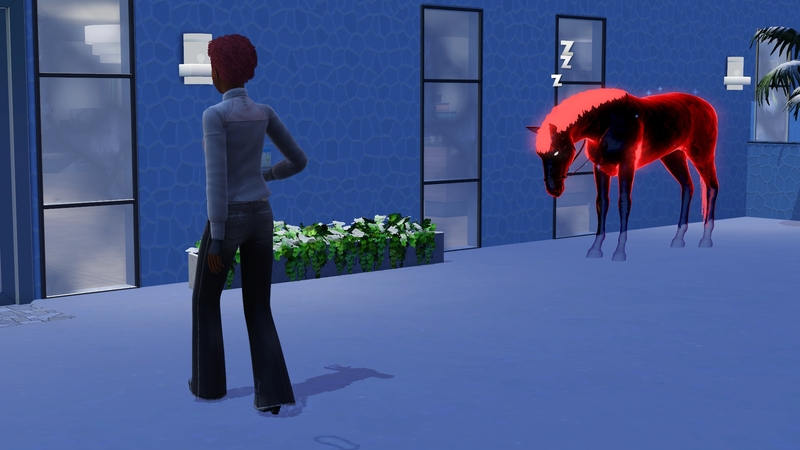 It was REALLY nice to remember how stunning TS3 is. Amazing. BAM! 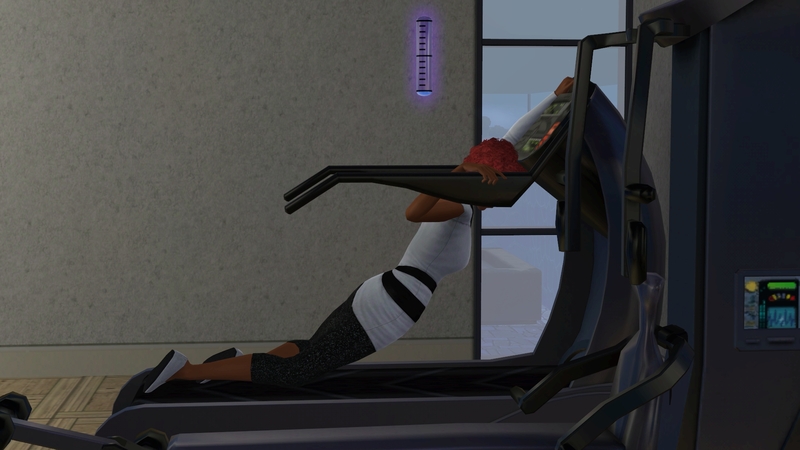 Everything zoomed to Mindy and I though she was dying. 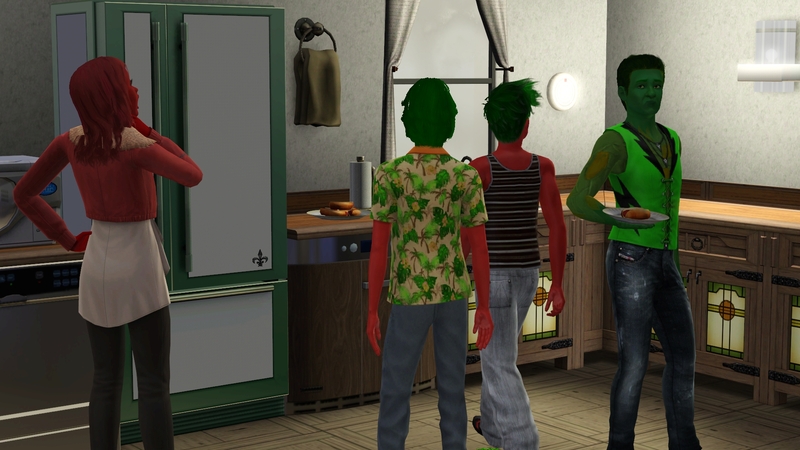 Dude, I barely remember how to cheat a makeover without using dressers and mirrors. Not to be all judge-y, but I think she got way ugly. Mindy: Imma take your phone you little brat. HA! 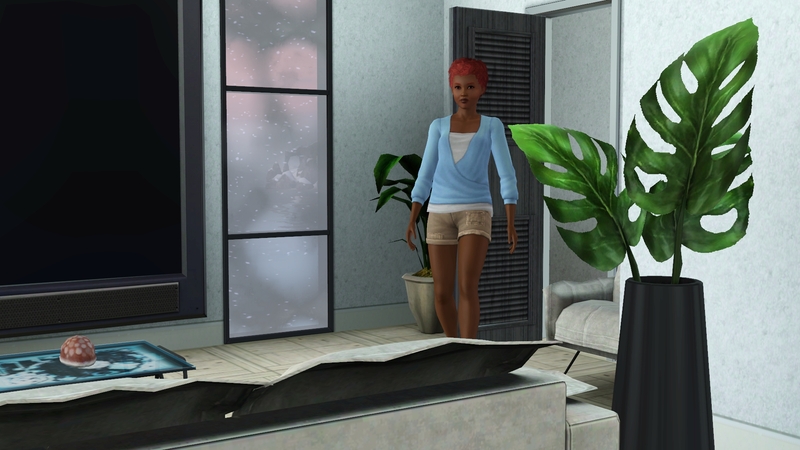 Look in the background… I had walls down and didn’t notice, catching Rajan mid bowel movement. 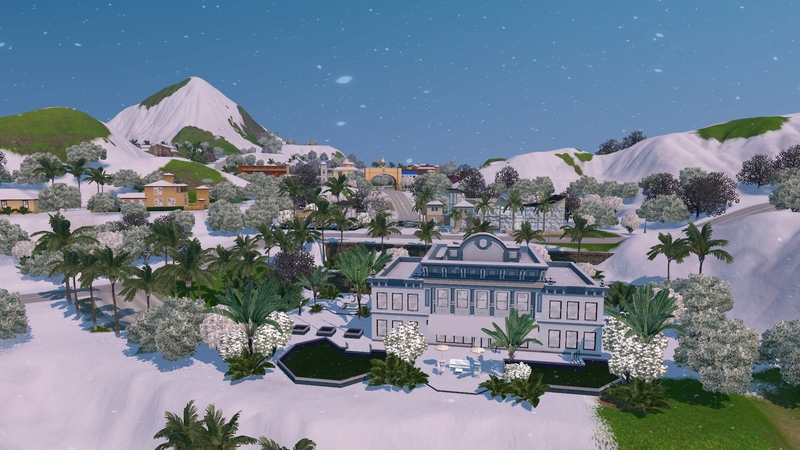 Snow falling in paradise while Nat takes a cab home from the spa. 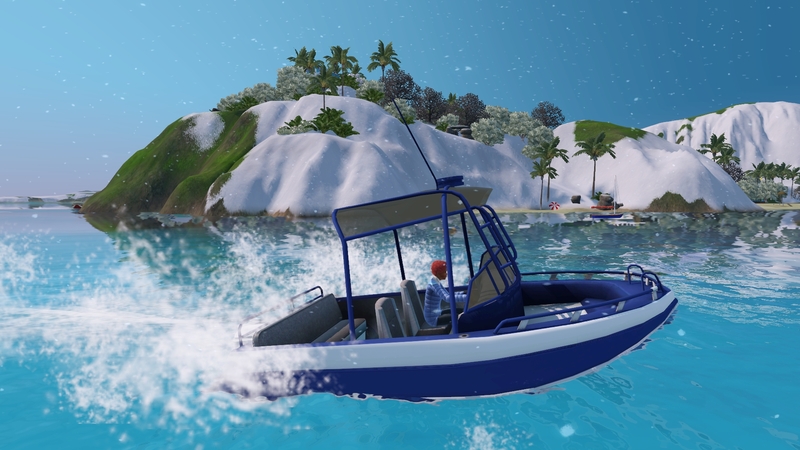 Looks COLD out on the water! Love this shot of the Zale house. 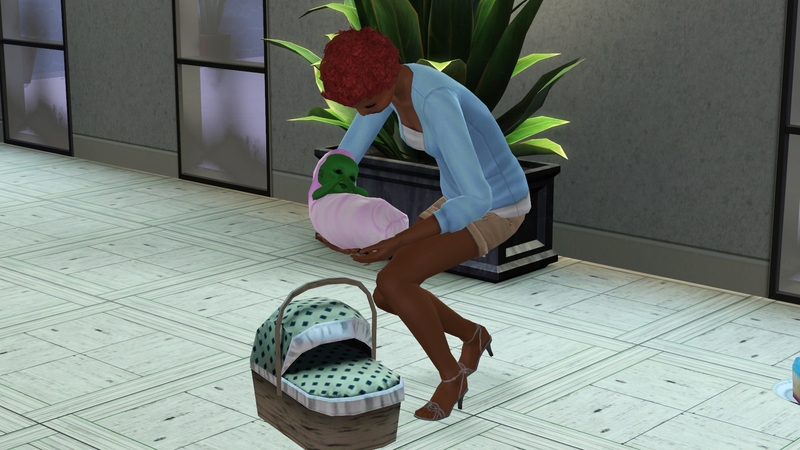 I can’t wait to have babies in the house again! Feels like it’s been so long, and NOT just because I hadn’t played since September. 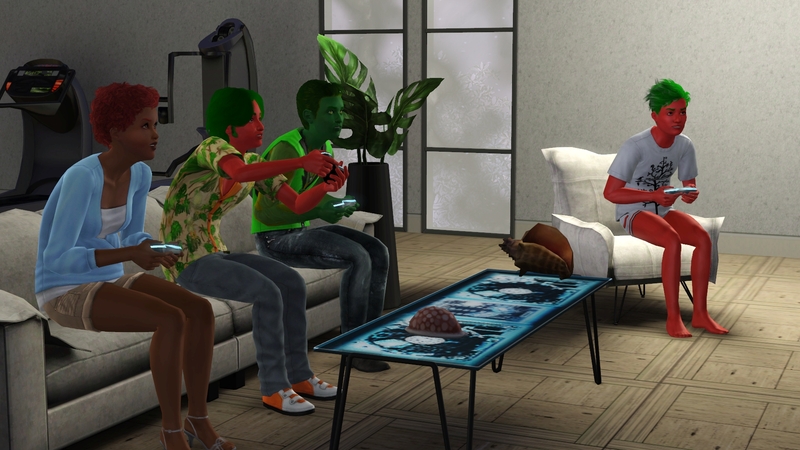 …while the rest of the family appears to be being social. Except the route fail. That’s nice. HA! HA HA HA HA HA! Look at my Zales. I think I missed them! With the rest of the family upstairs, these two are getting their flirt on. Apparently they really dig one another. I’m not real familiar with that flirt posture. Aside from the fact that it’s Rajan and his MOTHER IN LAW, it’s pretty cute. Nate is having a birthday! And it would seem the laptop is broken. 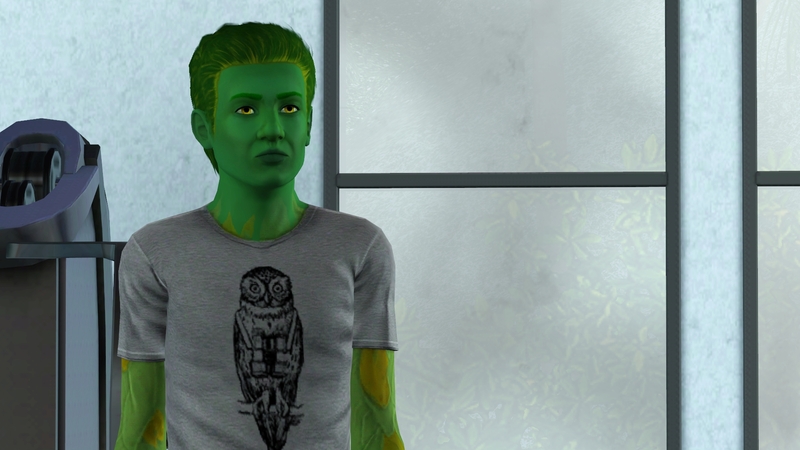 Nate rolls athletic to join perfectionist, loves the outdoors, grumpy and bot fan. Interesting lookin’ fella. And dat hair! Well, I kick him out. 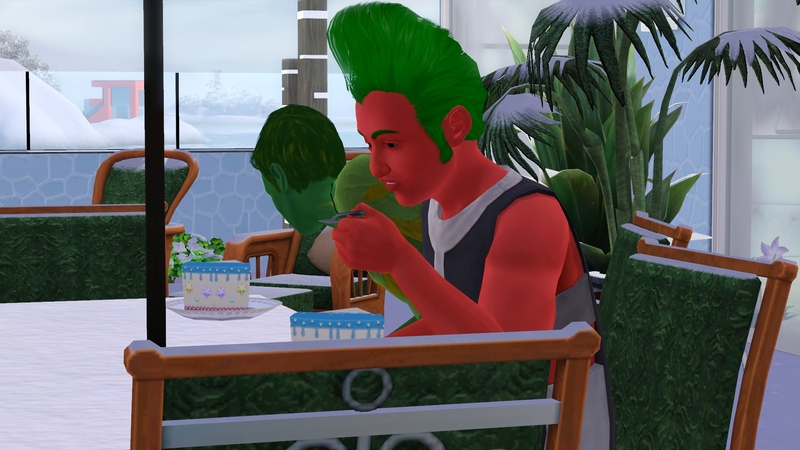 Well, I let him eat a slice of his birthday cake first. Mid cake consumption, Natalie goes into labor! Generation O is on the way! I’m so excited! 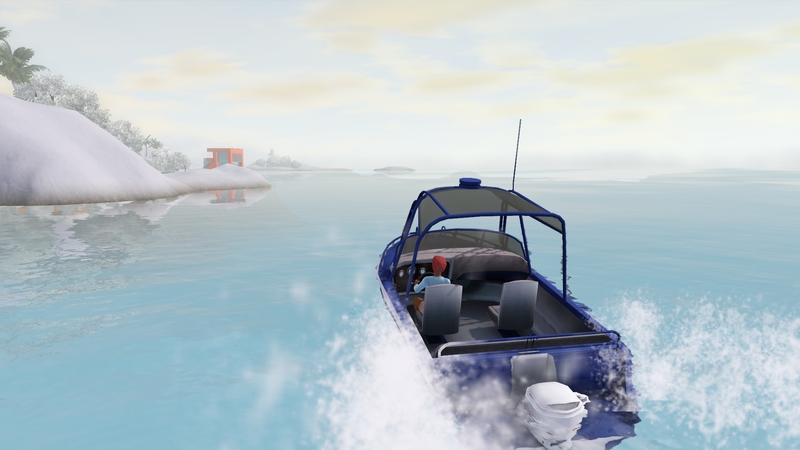 Nat grabs the family speedboat and heads off to the hospital. I name her Olive – she rolls genius and loves the heat. I name her Ophelia – she rolls grumpy and disciplined. SO! 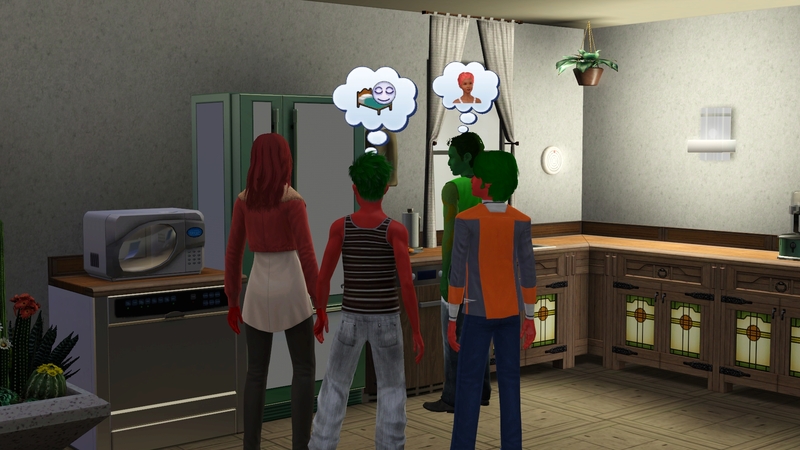 I have to show you this… It appears that Olive is GREEN when Rajan thinks about her. But her little picture panel is brown skinned. She’s just in the basket now, so we’ll have to wait and see. 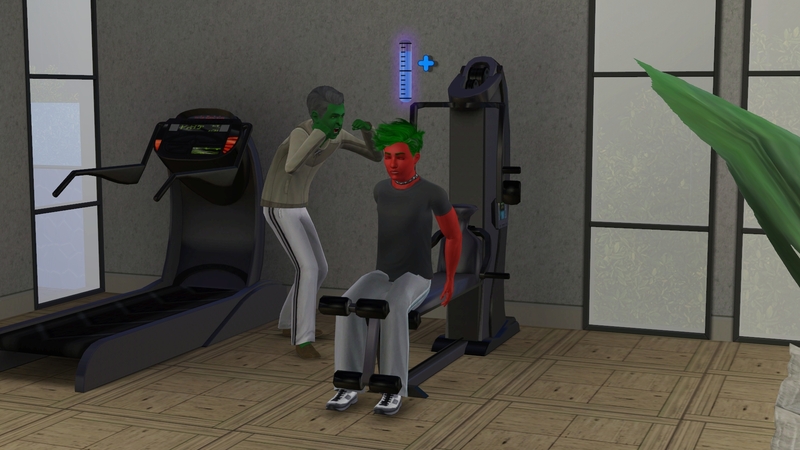 Must have inherited Grandpa’s green skin tone. Fun! Can’t wait to meet them as toddlers! Nice job, Natalie and Rajan. I love them. BUT – it’s a boys turn to take over, so try again, will ya? Except the house is full. Darn. Natalie helped herself to some outdoor snow/floor cake, and the ghost of Bailey is fast asleep on the porch. Just another day as a Zale. Natalie putting away leftover cake. L to R: Giles, Bettina, Leif, Helen, Juniper, Krypton – and off camera is Changpu. I decided the ghosts needed more to do than just rock. 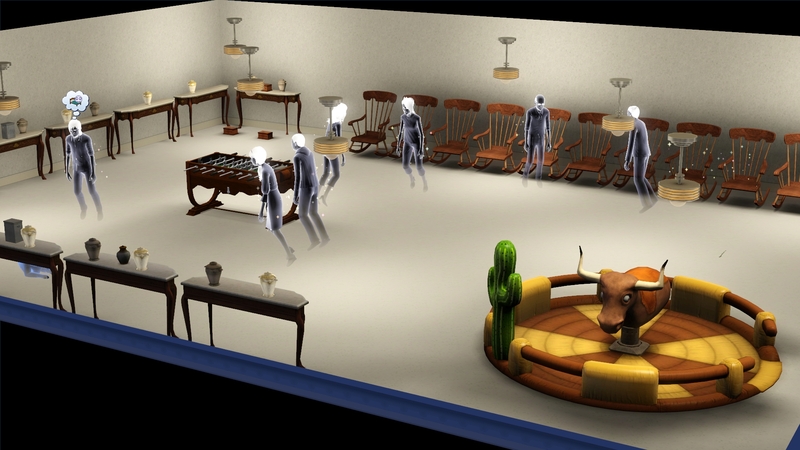 So I put down some darts, a mechanical bull, and foosball. Sounds like fun to me! 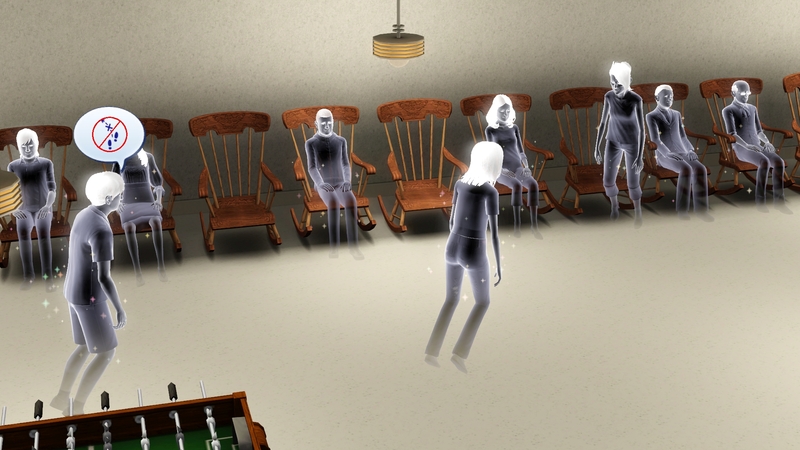 Turns out, the ghosts really don’t want anything except the rocking chairs. Can’t say I didn’t try. I watched them for along time. It was a never ending loop of gags and “ew! 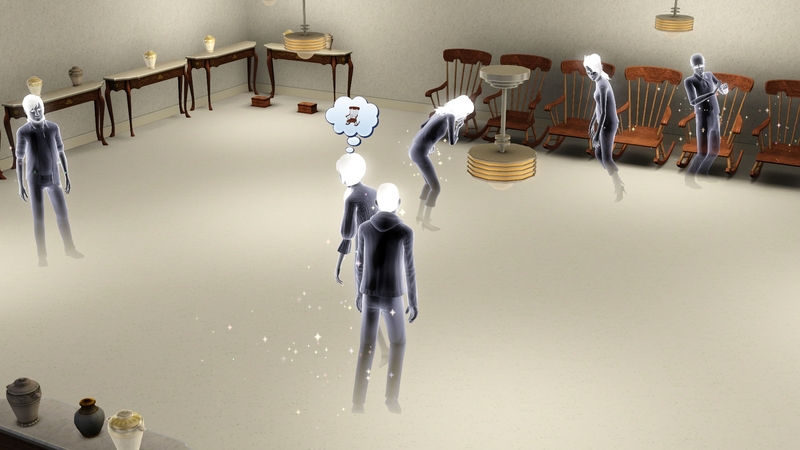 a ghost!” animations. Pretty ridiculous. HEY! The house isn’t full! I forgot Nate was here! 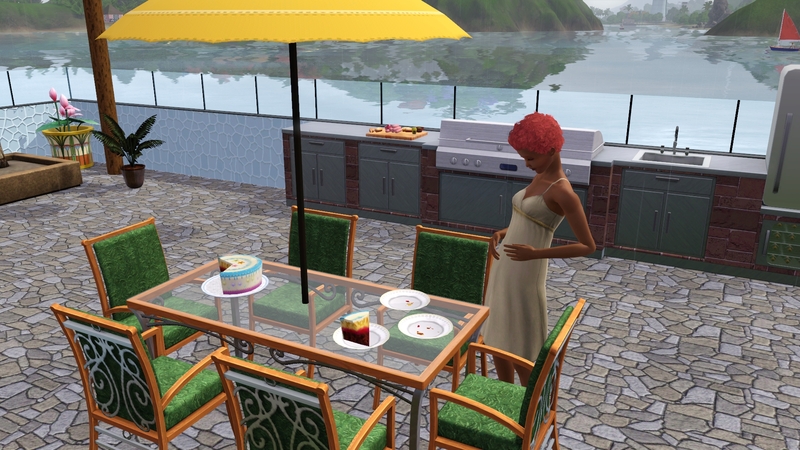 Natalie went into labor like, right when he was eating his cake… in the flurry of the girls’ birth, I forgot to kick him out! That has since been remedied. And Rajan? Gross. Remind me of Leif and Angelica all those generations go. 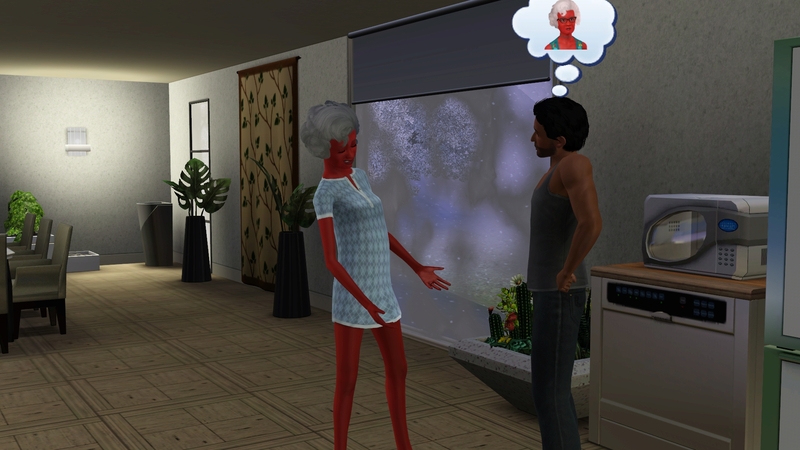 Yeah Natalie, remind him he has a LOVELY wife! Flippin’ Rajan. Stop flirting with your MIL. It’s Springtime on the islands. The brief winter has passed. I remembered that Natalie has a lifeguard LTW, so I finally enroll her in the profession. Noah and her parents help. Nice supportive family. 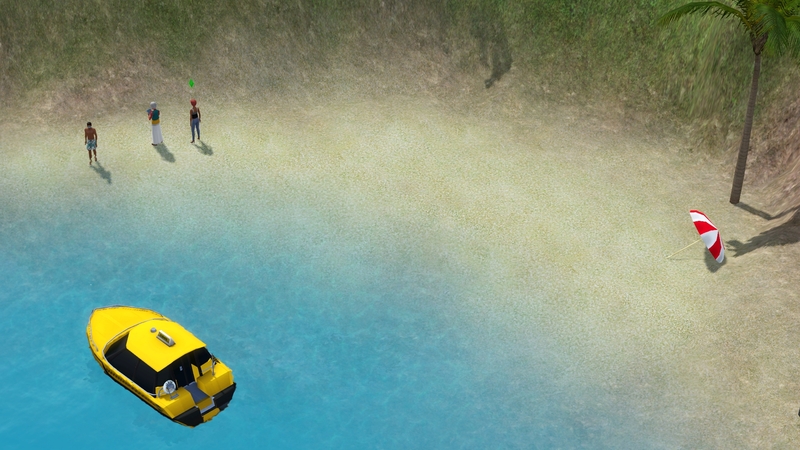 I send everyone to a different beach and HOLY CRAP! The family shows up to cheer. Mango went full on PLANT. If I was going to throw up… that would be the view I’d want to throw up to. Natlie: BLARRGGH – so prett – BLAALLLALLLRLRLGHG. Natalie’s newfound career requires athletic skill. 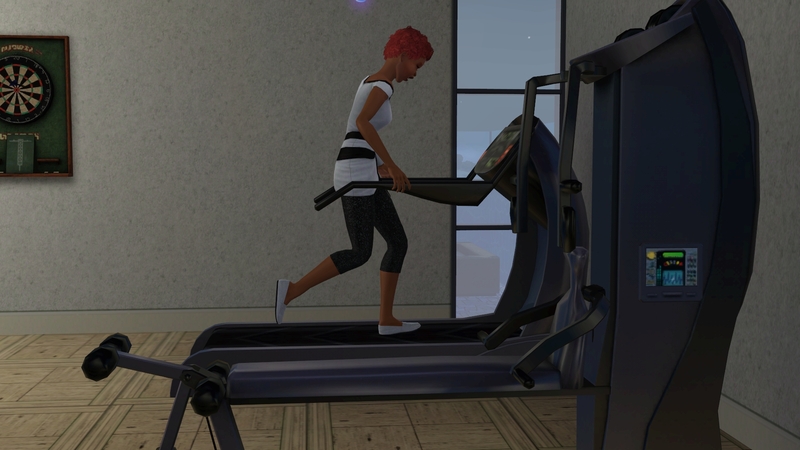 So she gets her jog on. Ha, look at Mango’s old man jammies. They’re cute, but I finally gave him a proper makeover. 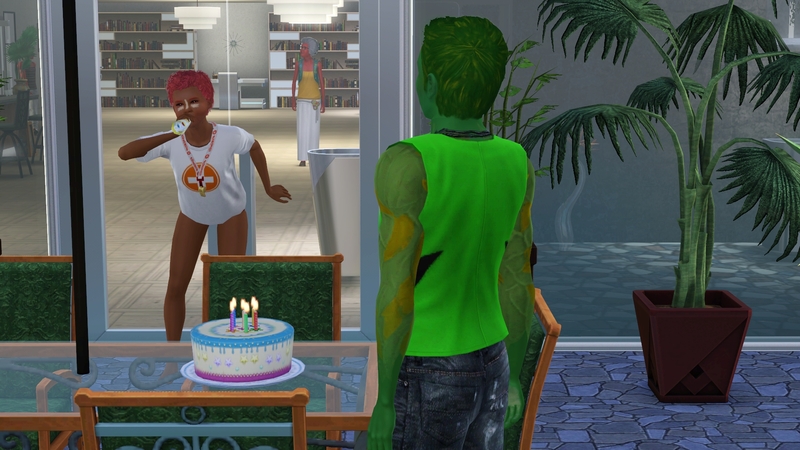 I had Natalie throw a party for the girls’ birthday! Well, the back of the family celebrates anyway. 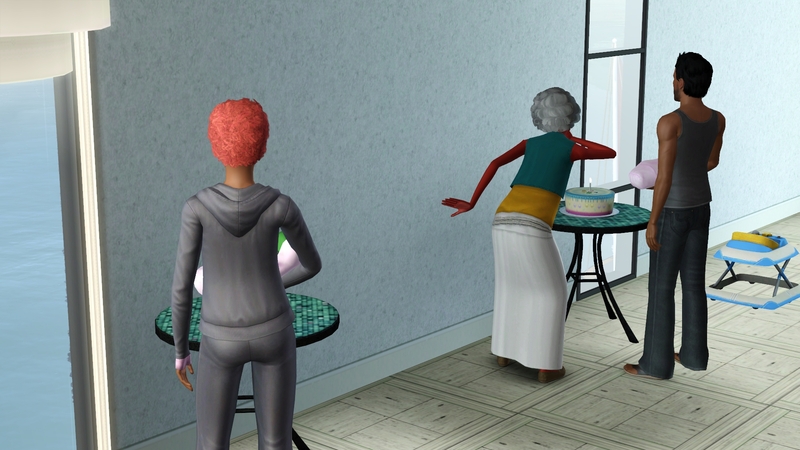 Putting those cake tables up against the wall like that made for very tricky pictures. Rajan took Ophelia and Natalie took Olive. 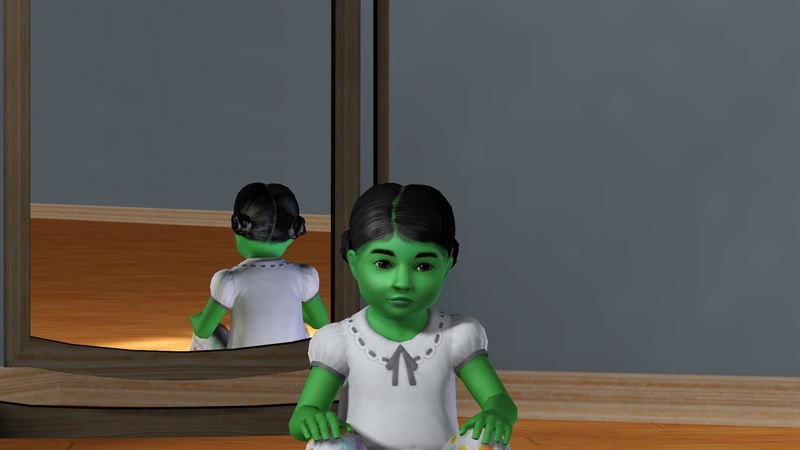 Ophelia went first, definitely a lot of her daddy in there, but maybe she’ll grow into her looks? 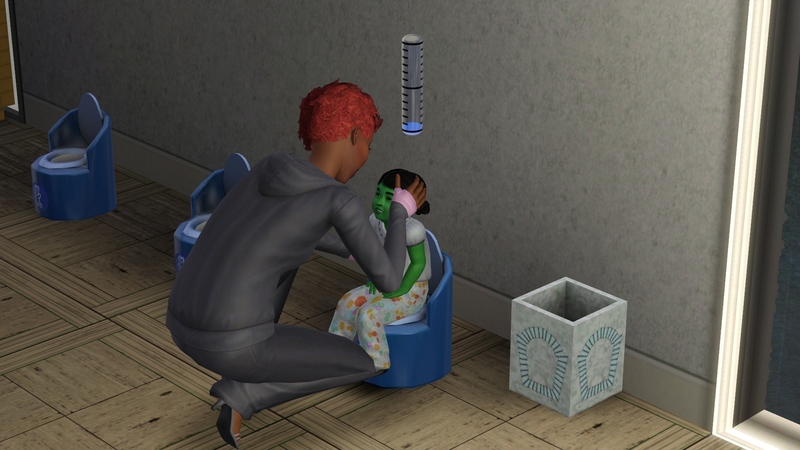 Olive got her daddy’s black hair and rather purplish eyes? Little Olive – her favorite color is gray. 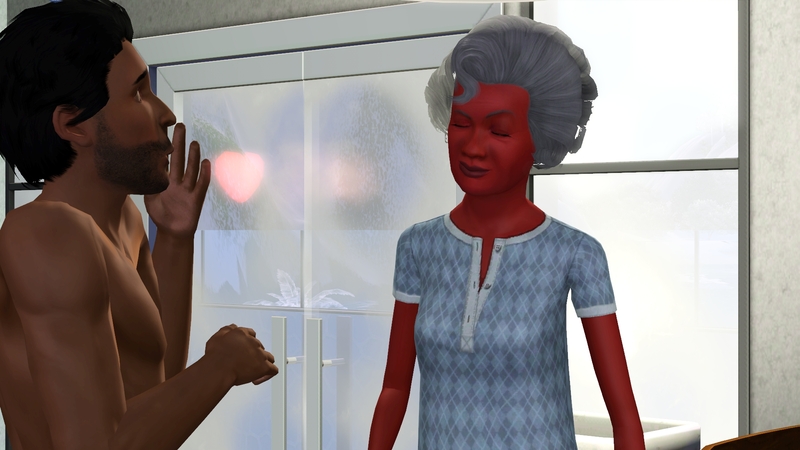 Ophelia likes Violet – which looks terrible with her hair. I think Rajan’s face makes for a very handsome man. 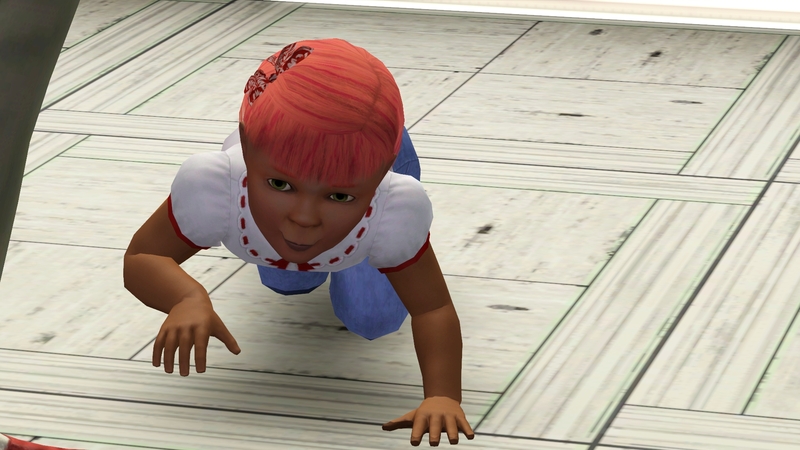 I’ve been playing so much TS4 lately that it’s weird to see toddlers… let alone skill them. I love her little pants, by the way. Or ya know, watch them skill themselves. I was watching the toddlers skill and I saw this pop-up! How nice! Maybe we’ll get another Zale cousin. Someone brought Olive downstairs. Not good. But super cute. And it’s my fault anyway, for putting the high chairs there in the first place. 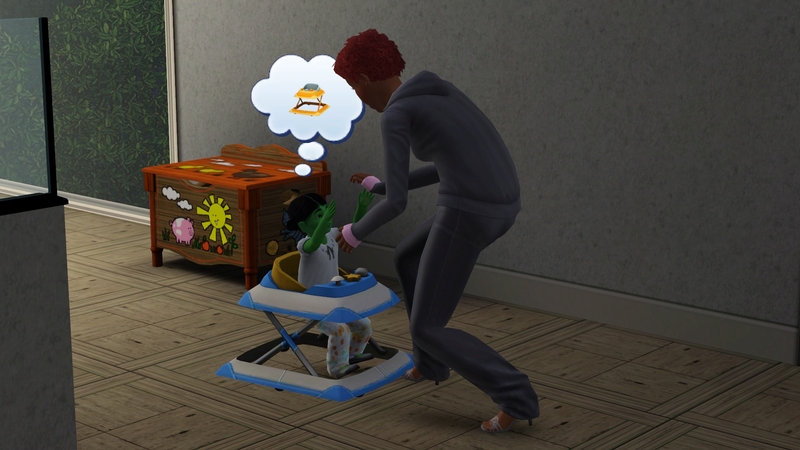 After Olive finished her meal, momma Natalie plopped her in the playpen with Ophelia. Pretty cute, girls. Pretty cute. Natalie’s off to the hospital. AND… I didn’t take a picture? How weird. Well, he’s brown skinned and wrapped in a blue blanket. I’m sure you can figure it out from there. I have just one more picture for this post, since I heard such alarming screaming and shouting! So there you have it! Generation O is on the ground. Kind of exciting! I’m sorry I’ve been neglecting the Zales… we’re still trucking along. Special thanks to all you readers who hang in there, and come back time after time – even if it’s months apart. Best to you, and Merry Christmas! 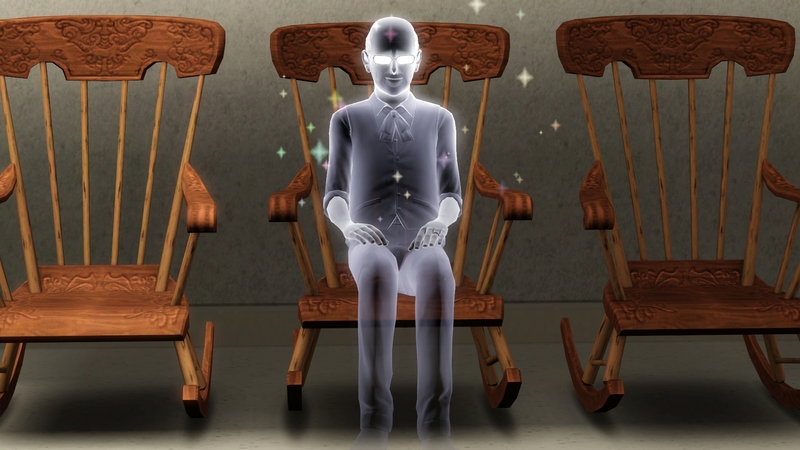 Until next time – Happy Simming! 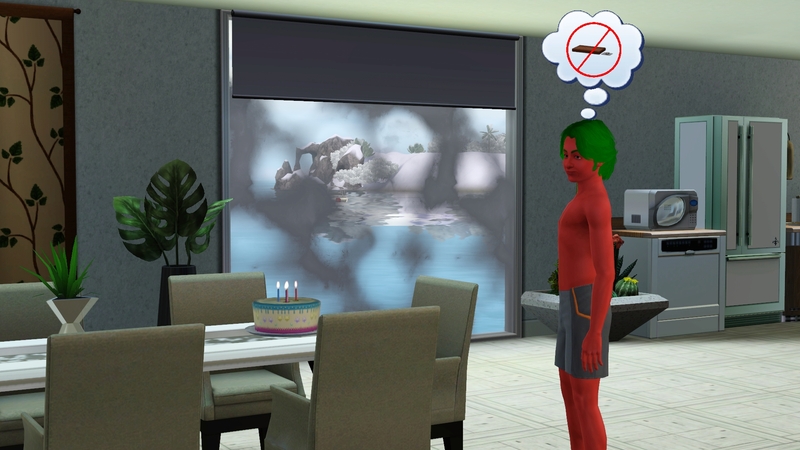 This entry was posted in Generation 14 - N and tagged Alphabetcy, I'm Surrounded By Idiots, ISBI, Natalie Zale, The Sims 3, Zale Legacy on 12/20/2015 by Heather. Woot, a Zale update! 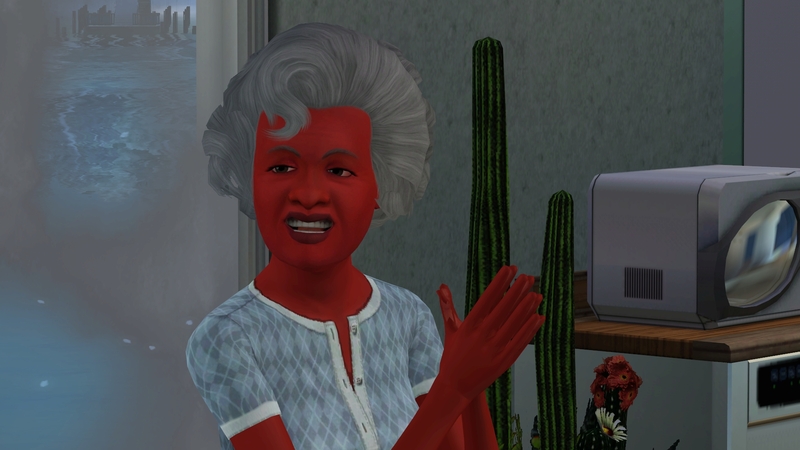 I know how easy it is to get sucked into TS4, even as I’m playing I’m thinking that “such and such is better in TS3″…and yet I keep playing. Trying out the Drifter Challenge, so as to have something to achieve. But anyway, back to the Zales. 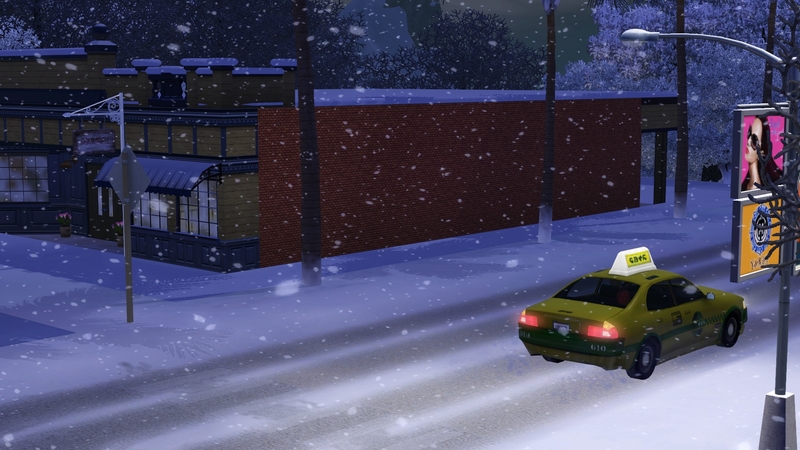 Ah, IP is such a gorgeous world, especially in winter. I’ll have to try it out again…maybe when it’s not summer here in Oz, and my laptop doesn’t threaten to overheat at the mere mention of Sims. Naw, twin girls! Like Natalie and her sister, with the red/green combo even. 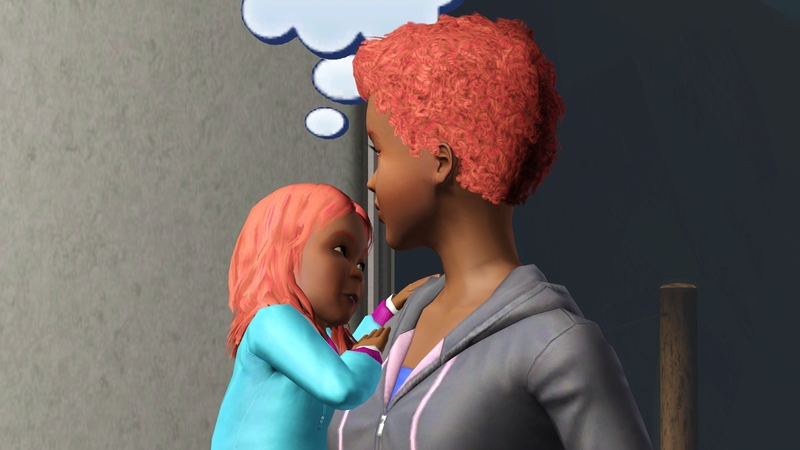 I think Ophelia is one of the few sims kids not to be born with Samali’s chipmunk cheeks in a long while. 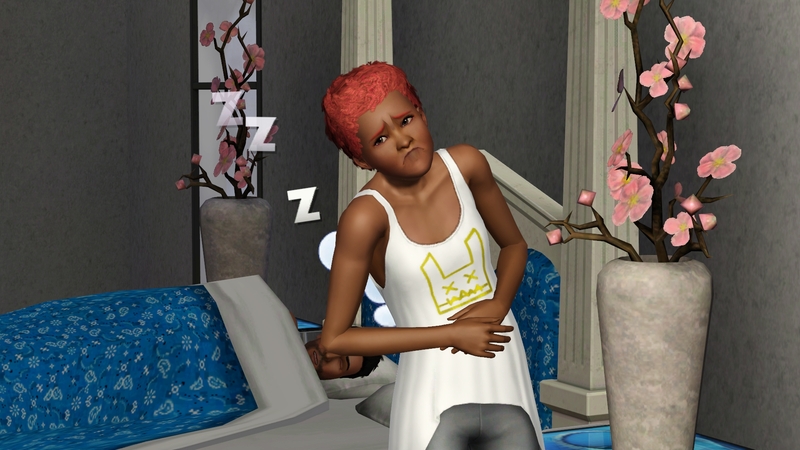 But yay, we got a boy for heir, and it only took two tries. Can’t wait to meet him – hopefully someone gets grandpa Mango’s hair colour. 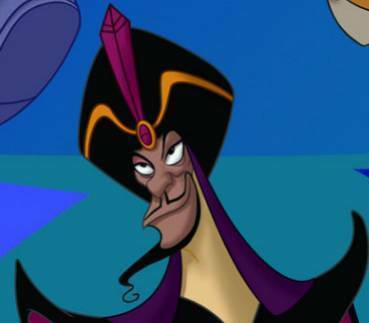 LOL, Rajan looks so much like Jafar. Right that you cannot unsee it. 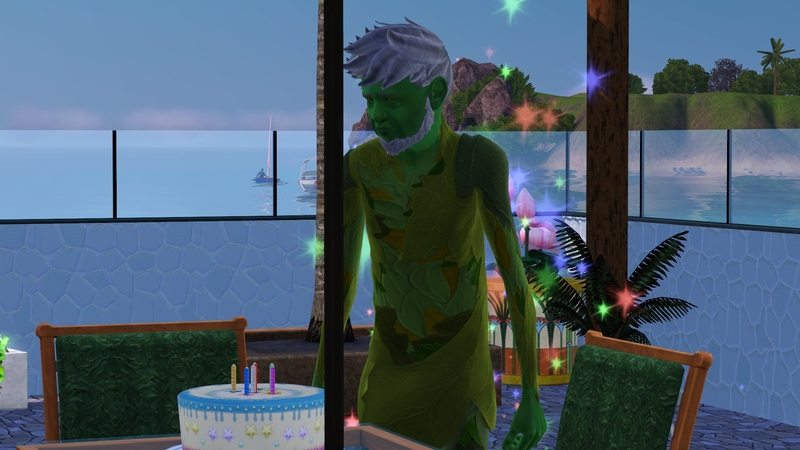 Yeah, TS4 just runs SO WELL, and it’s so stable and fast, and pretty and shiny… I’m going to look into starting a “kidnapper” challenge I stumbled upon one of these days. IP is really, REALLY lovely – I actually prefer it in the warm sunny days, but it was fun to see in winter. Yeah, the O boy, who I *think* I named Oscar is still a burrito, so I don’t know what color hair he has! It’s so awesome to see an update! I’ve missed the Zales! Rajan definitely looks like Jafar, I’ll never unsee it either lol. 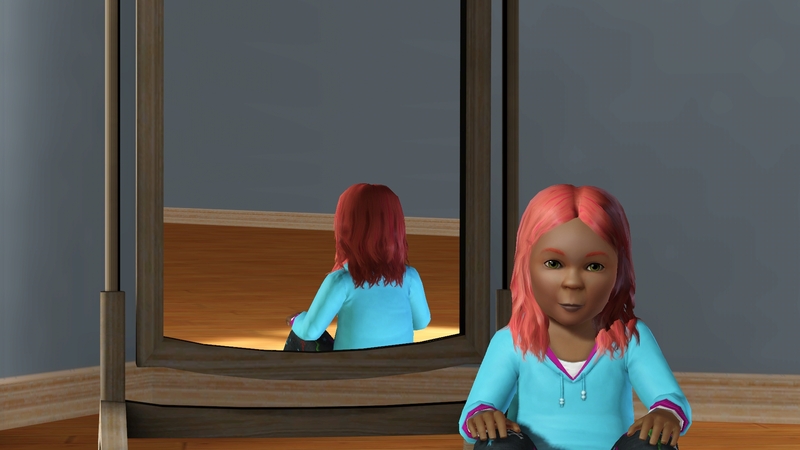 Ophelia does look like she could be a relative of the early Lightning kids lol, poor thing. Rajan’s features do not translate well onto a young lady. 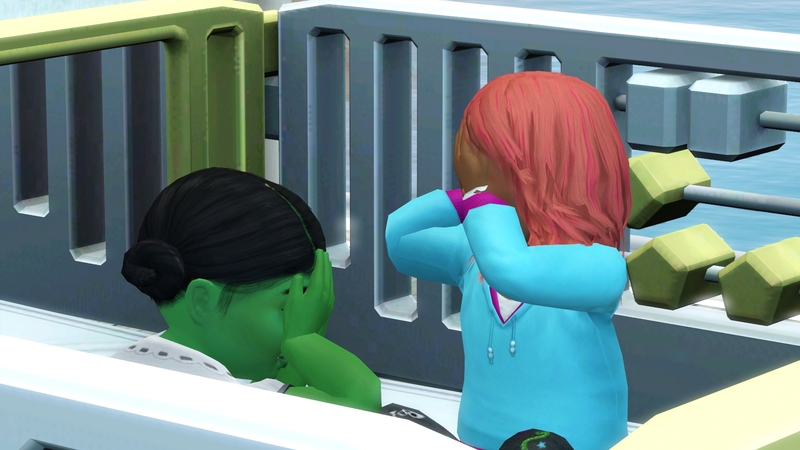 I peeked at both the girls at YA and Ophelia is AWFUL. 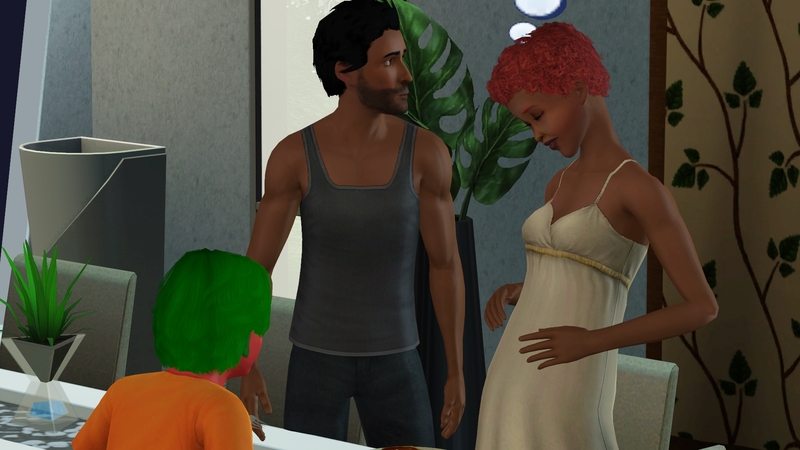 Olive isn’t great either, LOL… Looking forward to meeting the boy! Horray! An update. It’s good to see you. 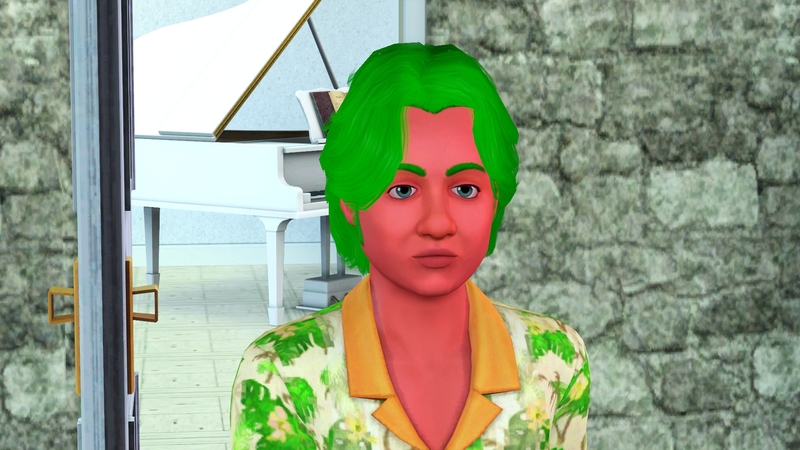 I’m so glad you’re enjoying TS4. I am really having fun with it too. 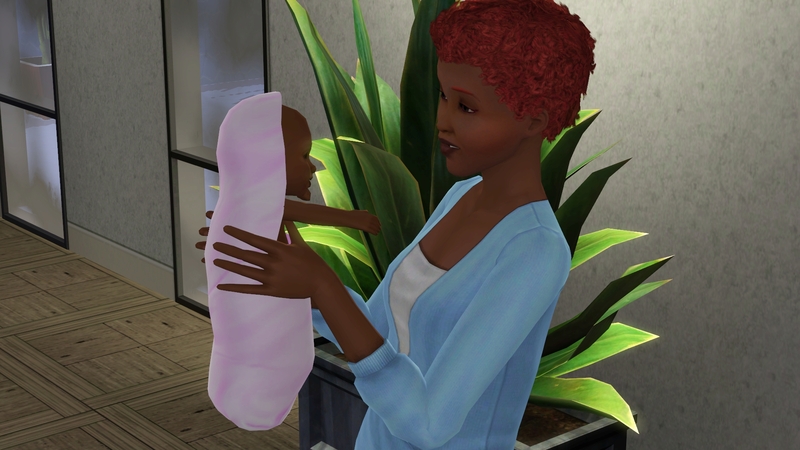 A few glitches with a crib and that is pretty much all I’ve had for problems so far. Twin girls! They are pretty adorable, even if Olivia someone does look like a female Jafar hahaha. 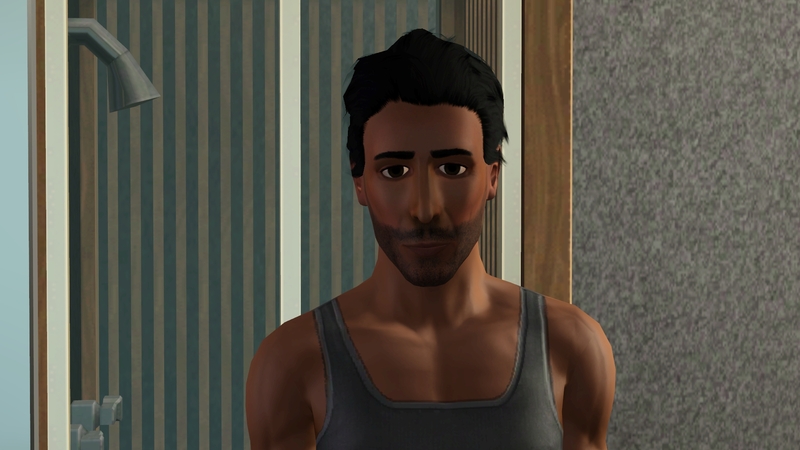 I think Rajan’s face will look great on a guy. Hi! Thanks! 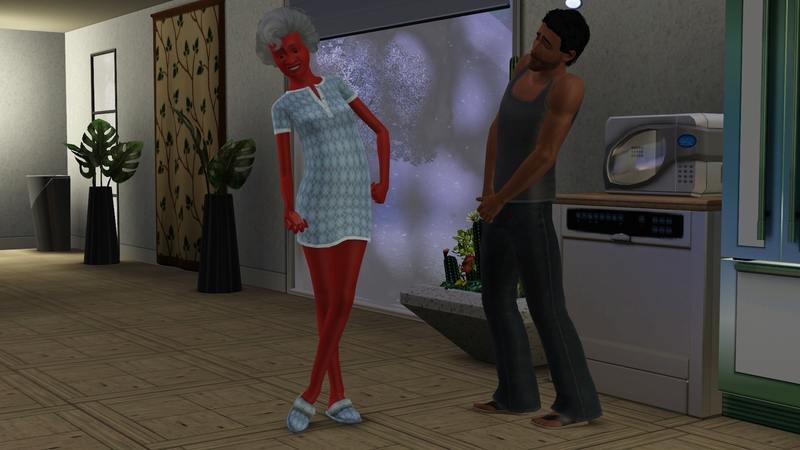 I love TS4, it’s super fun. And it just gets better with ever addition and patch. Olive TOTALLY looks like a female Jafar!! Wait until you see her age. 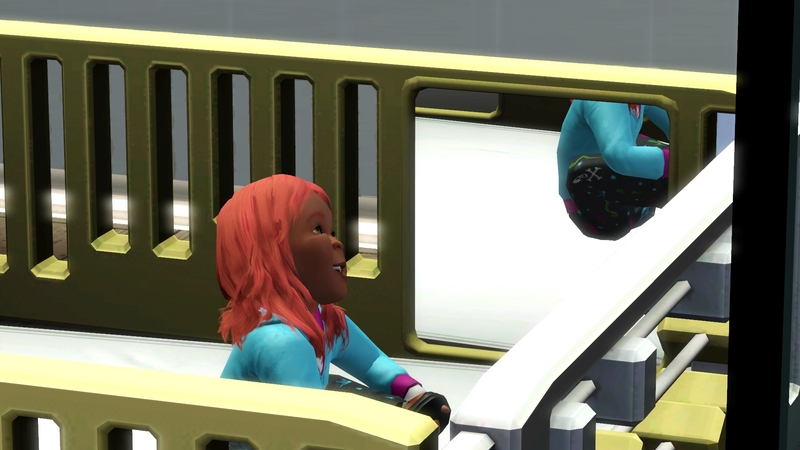 Good toddler eye!!! I was totally all set for the holidays and I’m a spoiled, lucky lady who got far more than I deserved. I hope you had a lovely season yourself! It was great! I was very spoiled as well. There was, as always, too much food and a great amount of family. I am super slow getting back into blogging. 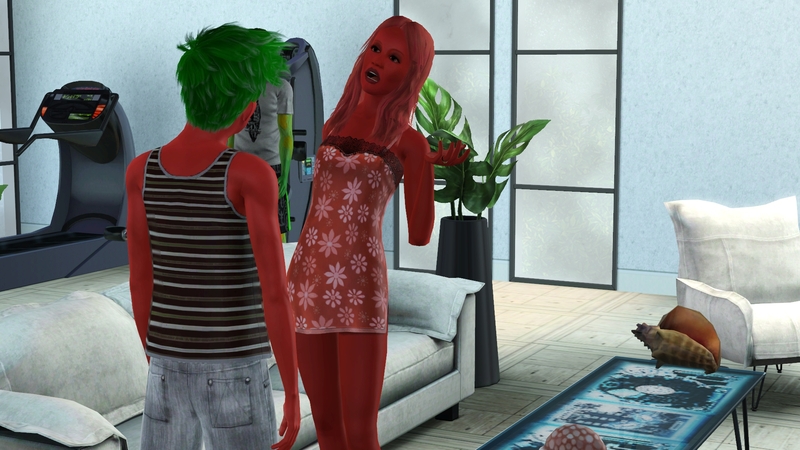 I just can’t stop playing TS4 lol. 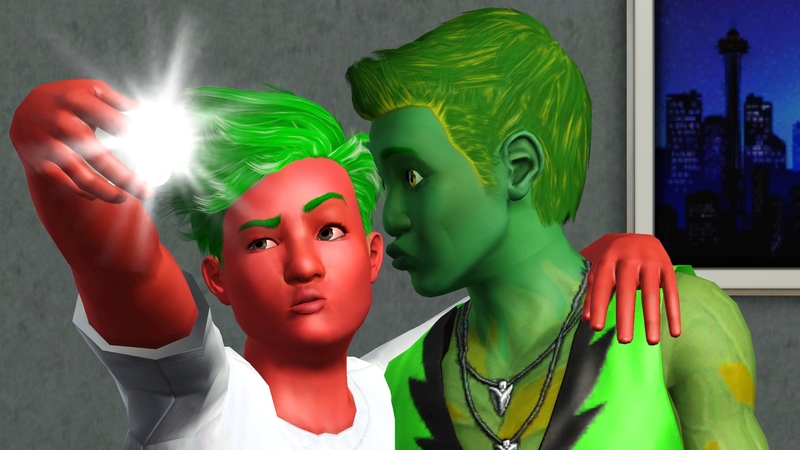 Just last night I was hovering over the TS3 icon to load the game, and boop, just like a magnet my mouse clicked on the TS4 instead. 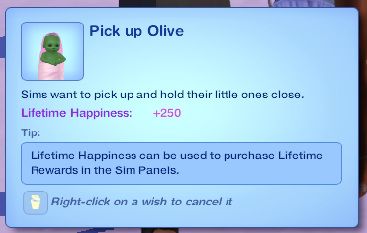 I LOVE Olive. 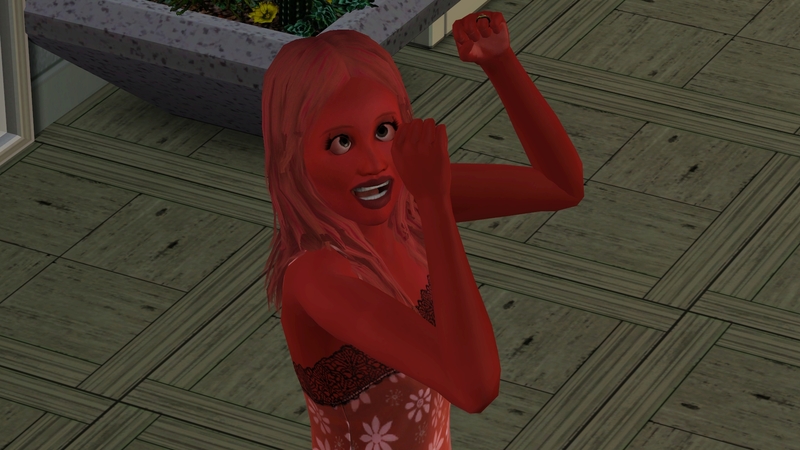 She's an amazing combination of her parents' genetics and it's kinda sad she can't be heir. But I'm excited to see the future burrito(s) too! Thanks dear one! Wait until you see Olive age… you’ll change your mind… hee hee hee. It’s always good to see the Zale’s. Love the name Ophelia. But Olive is deffo the cuter. Did you enjoy the free trial??? Olive is cuter… but that’s just because Ophelia is hideous, LOL. 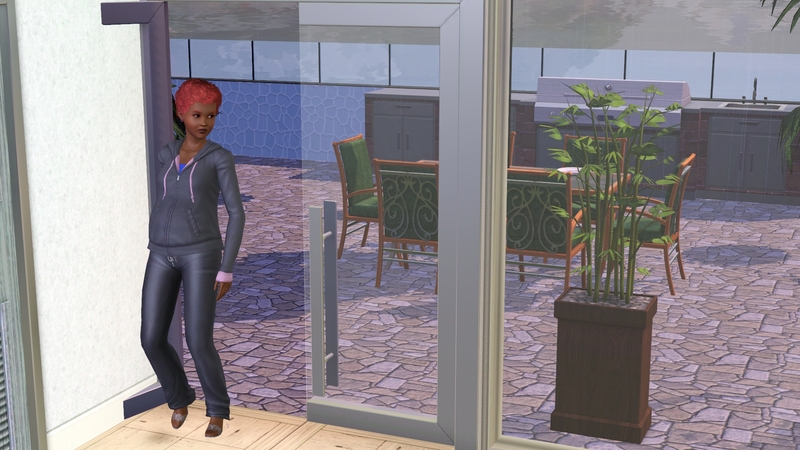 Sims 4 requires a lot more concentration and a full screen, which I’m not really keen on. And camera wise it isn’t laptop friendly. But I do love the party/date checklist, and the life goals bit. 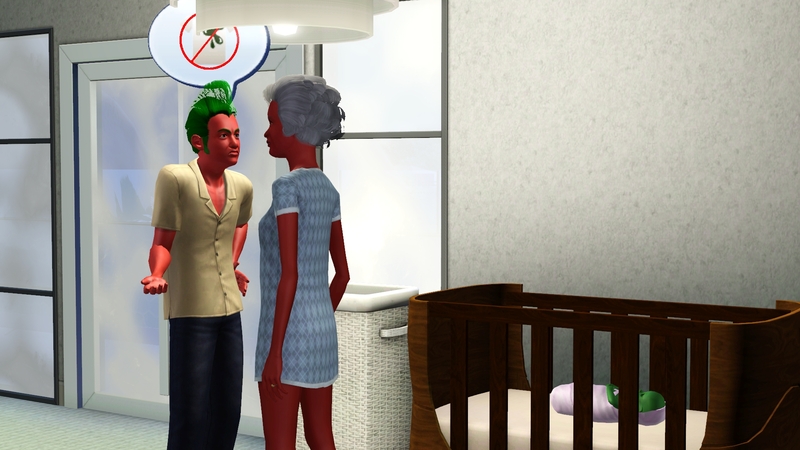 Although having a long lineage sim who hates kids is a bit absurd. That’s funny – I feel nearly the opposite. 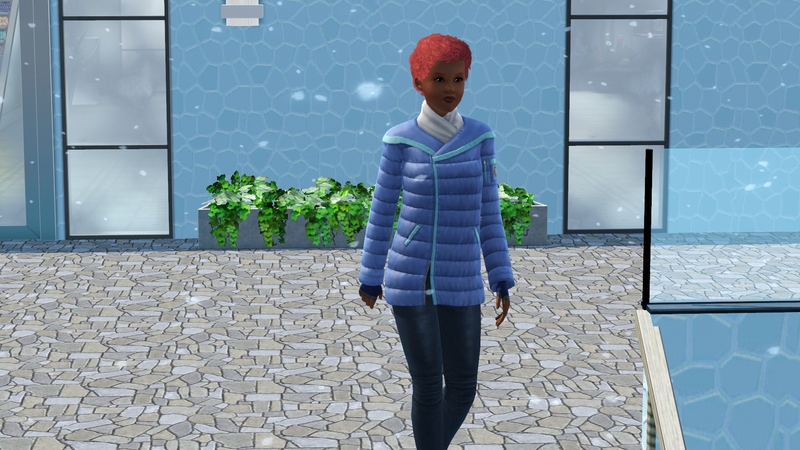 I barely pay attention to 85% of the household, and I love that you can just drag the edges of the game to change the screen size… I don’t play on a laptop, so I can understand that being different – did you see there are “Use TS3 Camera Options” in the settings? Maybe that would help out with the camera difficulties. Rajan does look like Jafar. I thought I said the twin’s traits? Yeah, I did! I *think* I named the boy Oscar. Might be Olaf. Not sure… LOL I’ll check soon! Oh my Zales I am sorry I neglected your update like a jerk. Good to see generation O off to a running start. 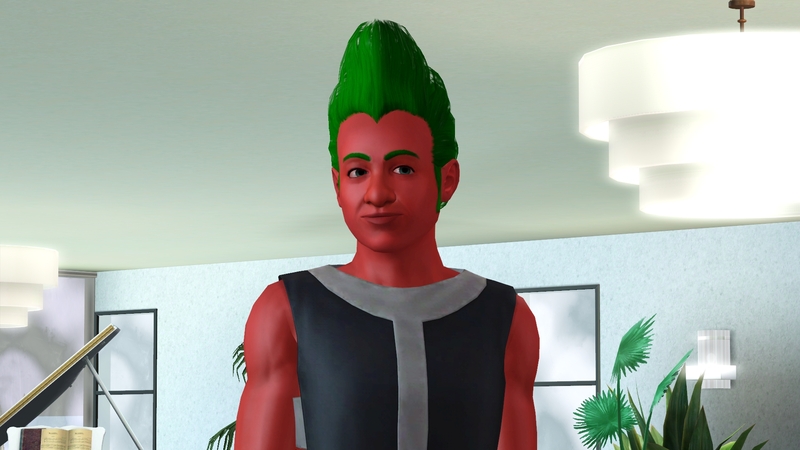 Jafar should give us interesting genetics and I cant wait to see the lifeguard career in action. Any thoughts on a new pet for the family? I still think at least a tropical bird. 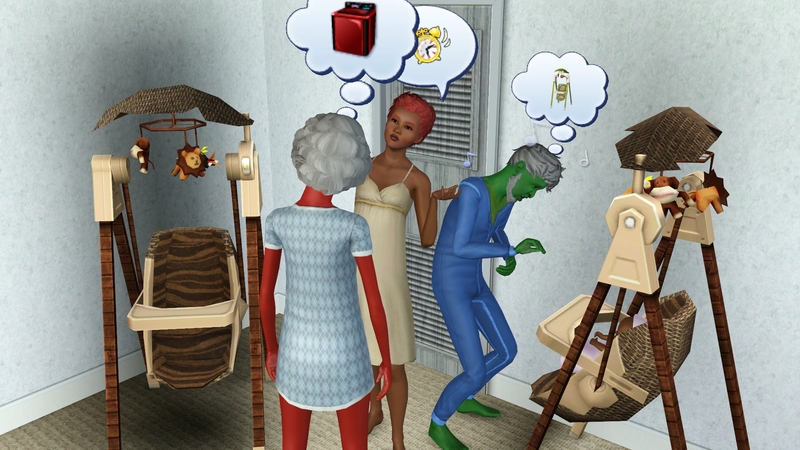 I’m having a bit of TS3 blues right now because I just kinda find myself enjoying 4 better lol. But I dont actually have it yet my sisters do. 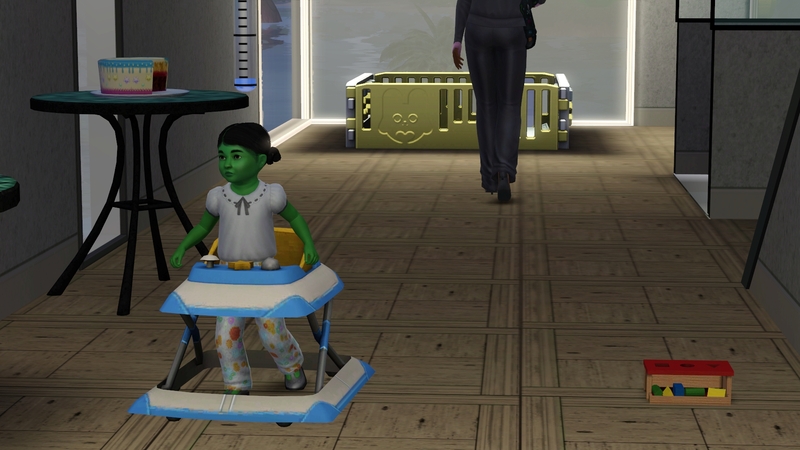 I will either wait until it gets toddlers or I get a decent way through my challenge which I dont want to give up on. I NEED to get back to work on that lol. That’s okay, I didn’t have a post for like, five-ever… it’s not like you knew to expect an update! I think a tropical bird is an EXCELLENT idea. 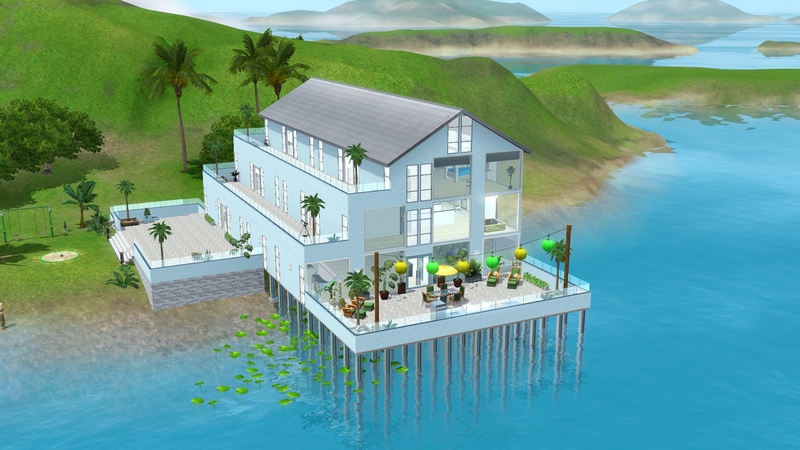 There’s plenty of space in the house, maybe I’ll put them all over the place, kind of goes with the plant/jungle vibe. Good call! 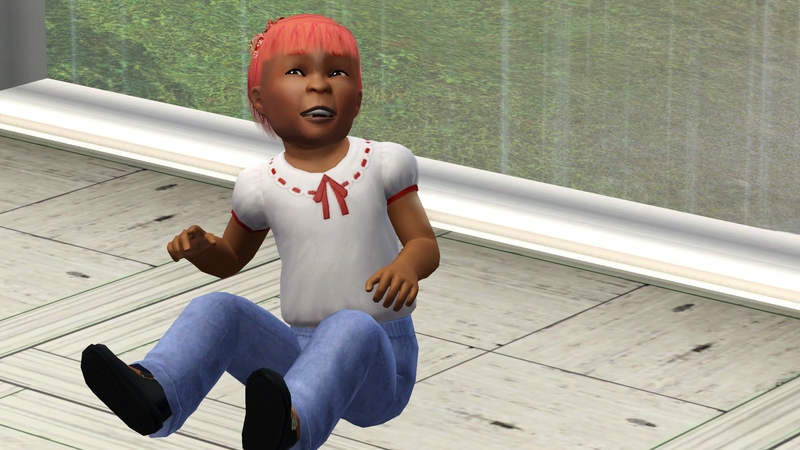 I have the TS3 blues too, TS4 is so much fun to play – I agree. 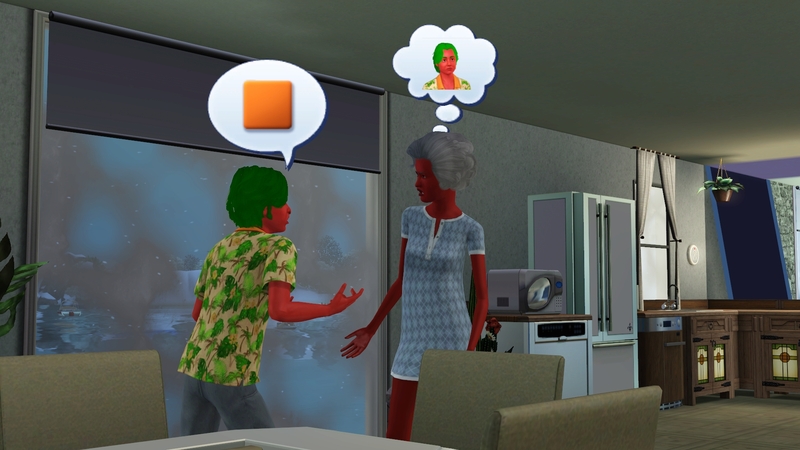 It’s very hard for me to work up the desire to muddle my way through a TS3 update when TS4 is holding my attention so strongly.